The Cape Higher Education Consortium (CHEC) is an association whose members are the four universities in the Western Cape province of South Africa. It describes itself as "A Network of Learning for the Western Cape". It was originally registered as the Western Cape Tertiary Institutions Trust in August 1993, and was known as the "Adamastor Trust". In 2002 the Vice-Chancellors of the member institutions signed a compact to lay down the visions and principles of collaboration, and to form a replacement institution, which was CHEC. The primary purpose of the Trust is to facilitate co-operation between the participating institutions, and to establish the Western Cape as a strong area for tertiary education. The Board of Directors consists of one Vice-Rector or Deputy Vice-Chancellor nominated by each institution. The Trust receives and administers donations and grants for collaborative projects. One of its major projects is CALICO (the Cape Library Consortium) which unified the library computer systems of the four member institutions so that searches could be made across all the libraries, and making the processing of inter-library loans easier. ^ "CHEC: History". CHEC. 2005. Archived from the original on 2007-09-27. Retrieved 2006-04-14. ^ "CHEC: Vision". CHEC. 2005. Archived from the original on 2006-09-29. Retrieved 2006-04-14. ^ "About CALICO". CHEC. 2005. Archived from the original on 2007-09-27. Retrieved 2006-04-14. The University of California, Riverside, is a public research university in Riverside, California. It is one of the 10 general campuses of the University of California system. The main campus sits on 1,900 acres (769 ha) in a suburban district of Riverside with a branch campus of 20 acres (8 ha) in Palm Desert. In 1907 the predecessor to UCR was founded as the UC Citrus Experiment Station, Riverside which pioneered research in biological pest control and the use of growth regulators responsible for extending the citrus growing season in California from four to nine months. Some of the world's most important research collections on citrus diversity and entomology, as well as science fiction and photography, are located at Riverside. This is a list of universities in South Africa. For the purposes of this list, colleges and universities are defined as accredited, degree-granting, post-secondary institutions. In 2004 South Africa started reforming its higher education system, merging and incorporating small universities into larger institutions, and renaming all higher education institutions "university". The country's universities and "technikons" which were incorporated with others and thus no longer exist are listed at the end of the article. The University of New Zealand was New Zealand's sole degree-granting university from 1874 to 1961. It had a federal structure embracing several constituent institutions at various locations around New Zealand. After it was dissolved in 1961 New Zealand had four independent degree-granting universities and two associated agricultural colleges: the University of Otago (Dunedin), University of Canterbury (Christchurch), University of Auckland (Auckland), Victoria University of Wellington (Wellington), Canterbury Agricultural College (Lincoln) and Massey Agricultural College. The University of Reading is a public university located in Reading, Berkshire, England. It was founded in 1892 as University College, Reading, a University of Oxford extension college. The institution received the power to grant its own degrees in 1926 by Royal Charter from King George V and was the only university to receive such a charter between the two world wars. The university is usually categorised as a red brick university, reflecting its original foundation in the 19th century. The University of Notre Dame Australia is a national Roman Catholic private university with campuses in Fremantle and Broome in Western Australia, and Sydney in New South Wales. The university also has seven clinical schools as part of its School of Medicine located across Sydney, Melbourne, and in regional NSW and Victoria. University of Chittagong is a public research university with multidisciplinary faculties situated across a 2110-acre hilly landmass in Jungle Poshchim-potti area of Fatehpur Union of Hathazari Upazila, 22 kilometres north of Chittagong city of Bangladesh. This university has the largest campus among Bangladrshi universities. The academic activities of the university formally began on 18 November, 1966. It has about 24,000 students and more than 1000 faculty members. The Worldwide Universities Network (WUN) is an alliance of 23 research-intensive universities. WUN provides financial and infrastructural support to member universities to foster international research collaboration and facilitate academic mobility. The Federal University of Agriculture, Abeokuta, Ogun State, or FUNAAB, was established on 1 January 1988 by the Federal Government when four universities of technology, earlier merged in 1984, were demerged. This led to the creation of the first two universities of agriculture in Abeokuta and Makurdi. 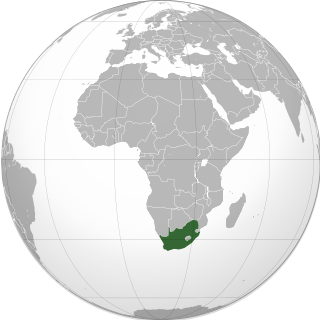 Universities South Africa is an association of the 23 public universities in South Africa. Its function is to form a unified voice for the interests of its members, to form common policy for its members on matters of national importance, and to provide various services to its members. Kyambogo University (KYU) is a public university in Uganda. It is one of the eight public universities and degree-awarding institutions in the country. Namibia University of Science and Technology (NUST), formerly known as Polytechnic of Namibia, is an institute of tertiary education in the city of Windhoek, Namibia. It was until March 2019 headed by the Founding Vice chancellor Tjama Tjivikua. The largely ceremonial role of chancellor of the university is held by Prof. Peter Katjavivi.